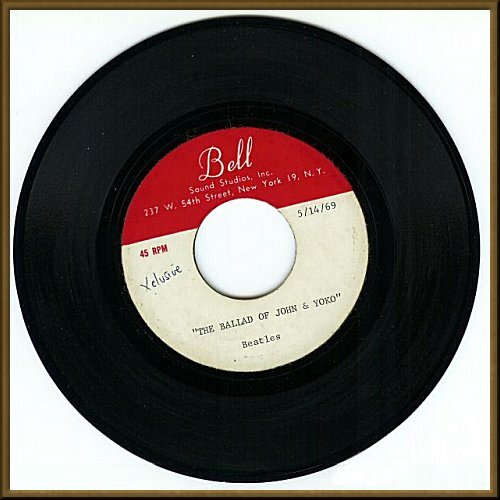 THE SOURCE - Acetates - Other - Bell - "The Ballad Of John and Yoko"
This disc was auctioned on eBay in May 2004. 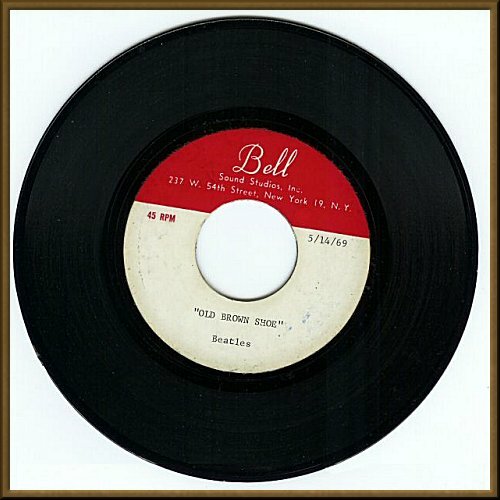 The mix would most certainly be the standard stereo mix. is probably May 14, 1969. Item location: San Francisco, CA. 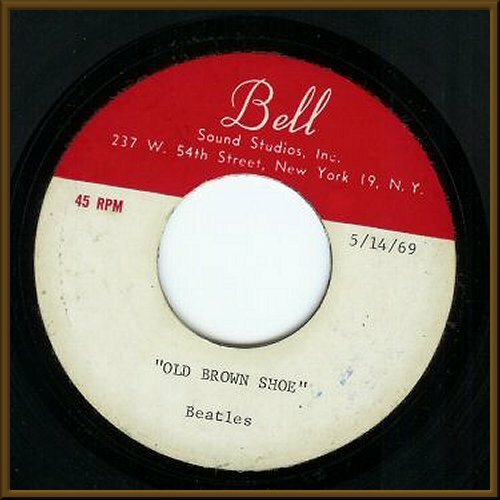 UP FOR AUCTION IS A RARE BELL ACETATE DATED 05/14/69. 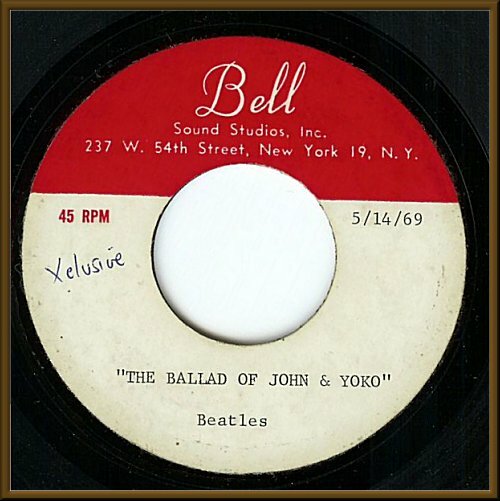 THE WORD Xelusive WAS WRITTEN BY AN UNKNOWN INDIVIDUAL ON THE LABEL SIDE OF "THE BALLAD OF JOHN & YOKO." THE FLIP SIDE PLAYS "OLD BROWN SHOE." THE PLAYING OF THE ACETATE.